Which Dodge Ram Ball Joint Should You Buy? After installing a steering system upgrade, I visited a local alignment shop to check the toe-in specifications. Unfortunately, the shop refused to align my truck on account of a loose ball joint. I have known high volume tire stores to do this sort of thing to boost sales, but this diagnosis was no surprise, and it came from a shop that I trusted: After 150,000 miles, I knew it was ball joint replacement time.My analytical nature kicked in, and I decided to do some research before choosing my parts. I rounded up four different sets of ball joints for comparison against the factory parts available from my local dealer: NAPA Chassis, Moog Problem Solver (obtained from O’Reilly auto parts), Duralast (obtained from AutoZone), and Carli Suspension. The assortment is shown in figure 1. 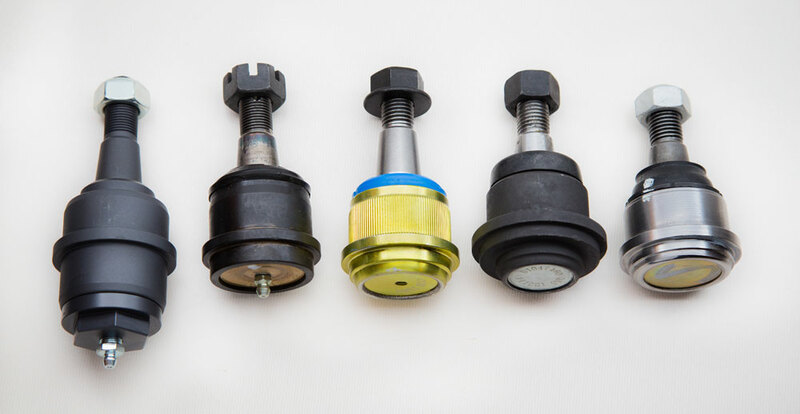 Figure 1: from left to right: Upper ball joints from Carli Suspension, Moog, Napa, Duralast, and Mopar. Some are smooth, some are knurled, some have a grease zerk, and some are sealed. The Zerk on the NAPA part in this photograph has not yet been installed. Figure 2: Lower ball joints from Moog (left) and Mopar (right). The Moog “problem solver” part supplied by my local O’Reilly Auto Parts store has a knurled body. Using a micrometer, I was able to compare the body diameters of the aftermarket parts to the factory parts, with some interesting results (see Table 1). Table 1: micrometer measurements of four aftermarket ball joints compared to the factory-supplied part. As you can see, the Carli Suspension ball joints were the only ones in my test group matching factory specifications, in both body size and surface type. The locally available parts from O’Reilly, Autozone, and NAPA all measured a few thousandths of an inch larger than the factory parts. The NAPA and Moog parts combine an oversize body with a knurled surface. Table 1 also shows very good dimensional constancy from part to part, in all cases except for Duralast. For this brand, I measured the lower ball joint at only one-thousandth of an inch larger than the factory part, while the upper ball joint was nine-thousandths of an inch larger. Wow! 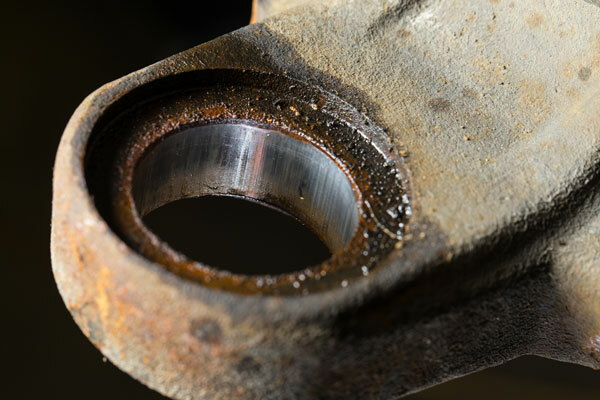 Ball Joints are Boring: Why do we care? I found it interesting that local retail stores sold only oversized parts. More than one local repair shop told me they do not use oversized parts unless it is necessary. One local distributor, who supplies ball joints to local repair shops, confirmed that he sells exclusively Moog Problem Solver parts, a favorite among local shops. So I consulted the Federal-Mogul website to confirm that I had selected the right part numbers for my Turbo Diesel. Sure enough, I found Moog Problem Solver part numbers K7460 and K7467, the very same as I had obtained locally. An enlarged ball joint receptacle in the control arm can cause a loose ball joint fit. MOOG Problem Solver design includes an oversized housing for a more secure fit. I could not help but wonder: Did I have an enlarged ball joint receptacle that required an oversized housing? If not, wouldn’t an oversized or knurled part permanently enlarge the factory knuckle bore? How would you ever get the Moog in? Out? More importantly, does it matter? Editor’s note: TDR members have grappled with this question many times over in web discussions and in pages of the magazine. 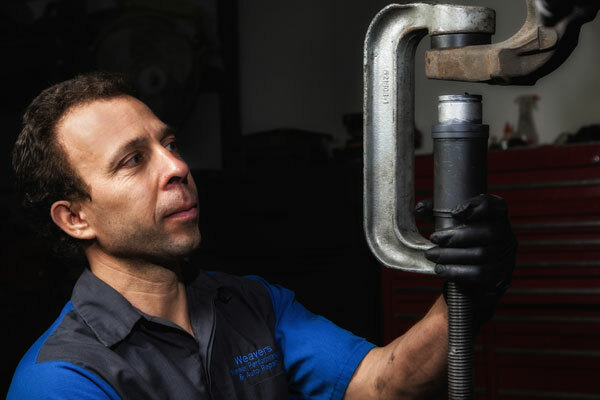 Some swear by the Moog products; some swear at the Moog products; all of us swear as we beat, bang, press and break tools in our efforts to remove factory or aftermarket ball joints from the housing. Let’s continue with Doug’s story—the first one I’ve seen where the author actually measured the replacement parts. Figure 3: The smooth lower ball joint knuckle bore on my Turbo Diesel. I decided not to install a knurled or oversized part, in order to preserve the factory bore as long as possible. I then turned to Carli Suspension, a highly respected expert in aftermarket suspension components that are well proven in off-road competition. Their decision to match factory specifications for ball joint body diameter and surface finish was an intriguing departure from the other parts I evaluated. It turns out that Carli Suspension regularly sees the consequences of oversized/knurled ball joints in their own shop, advising me that once you enlarge the knuckle bore with an oversized part, you are forever committed to using oversized ball joints or even machine shop heroics for the next replacement, should that ever be needed. Please note that installing knurled ball joint bodies permanently alters and creates unrecoverable wear in the end forging and knuckle bores. Knurled bodies should only be used as a last resort. We sell knurled versions to accommodate vehicles which previously had competitors’ ball joints which may have enlarged or worn the mounting location, and now are switching to Dynatrac. 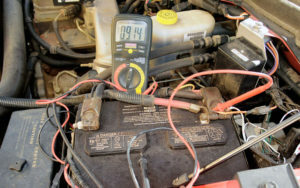 What does this mean for Turbo Diesel owners? I have come to the conclusion that oversized and/or knurled ball joints have probably been installed on a great many Turbo Diesels, but in most cases the owner is unaware and unaffected because the truck will be sold before the aftermarket parts fail. If failure does occur, however, the choice of replacement parts will be limited: For example, replacing a NAPA chassis or Moog Problem Solver ball joint with a factory or Carli Suspension ball joint would not work. There are two solutions to this: (1) make sure that the first ball joint replacement meets the factory spec for body diameter, or (2) make sure that your first replacement ball joint is your last! Carli Suspension’s ball joints address both of those concerns. While they are significantly more expensive than the mass marketed parts found in local auto parts stores, they will not enlarge the factory bore or introduce unrecoverable wear with a knurled body. Moreover, they will probably outlast both the truck and the driver, as they are supplied with a lifetime guarantee. I made the choice to have Carli Suspension ball joints installed in my Turbo Diesel. 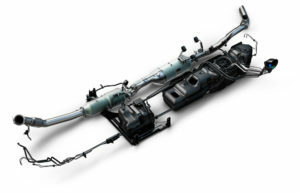 For the installation work itself (see figure 4), I returned to Weaver’s Diesel Performance in Dalton Gardens, Idaho—the same shop that installed my Carli Suspension “Backcountry 2.0” Kit, described in Issue 77. 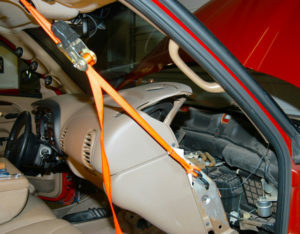 The photo in figure 5 shows the installed lower ball joint, with the accessible grease zerk. Figure 4: Raymond Driggs at Weaver’s Diesel Performance, installing my lower left ball joint. 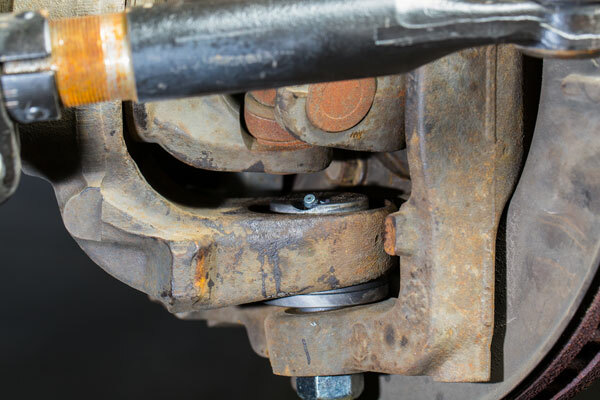 Figure 5: The Carli Suspension Lower Ball Joint, installed at exactly the right position so that the grease zerk is accessible. Changing the upper and lower ball joints can influence a number of important alignment parameters, such as camber, caster, and caster sweep; so I decided to have a four wheel alignment performed. I took my truck to Auto Works, a family owned automotive repair shop in Coeur d’Alene, ID (see figure 6). Before heading to the alignment rack, Troy Hocking, the shop owner, first drove my truck to see how the new ball joints felt in the steering wheel. A Turbo Diesel enthusiast himself, Troy wanted to see if he could detect any “return steering” binding or other issues that could be caused by faulty or improperly installed ball joints. Once everything checked out, we headed to the alignment rack to adjust the toe. All the non-adjustable alignment parameters were well within factory specifications. 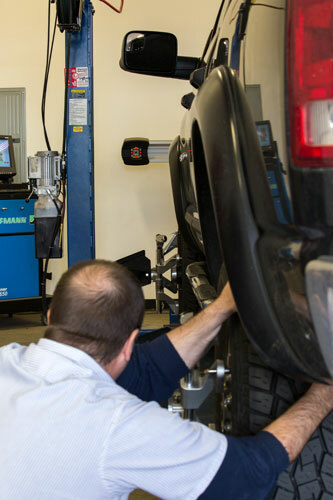 Figure 6: Four wheel alignment in progress at Auto Works automotive repair in Coeur d’Alene, ID. In this photograph, Troy Hocking is rolling my truck back and forth several inches at a time, to check wheel runout. All parameters including camber, caster and caster sweep, checked out. I made the personal decision to install Carli Suspension ball joints, which are neither oversized nor knurled, but this is not to say that other aftermarket parts are bad choices. According to my research, a great many shops install Moog Problem Solver parts. I bet that shops as well as TDR members have installed the Moog products without even realizing that the parts are oversized. The shop is not likely to see the same truck again, and in many cases it won’t matter to the owner, because the truck will be sold before the parts ever fail. If the factory knuckle bore is not damaged it is best to choose replacement ball joints that match the factory supplied parts as closely as possible in surface finish (smooth) and in diameter (not oversized). 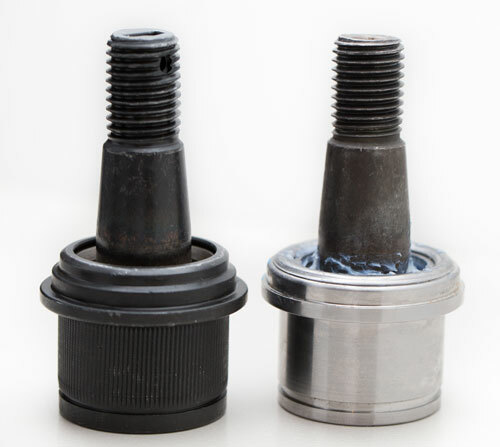 Oversized and/or knurled ball joints are a great way to accommodate an enlarged or damaged knuckle bore, but should be used only as a last resort. Some aftermarket parts, such as the Duralast brand from AutoZone, appeared to show a large dimensional variability from part to part in my tests. My advice is to avoid such parts. After 150,000 miles, my factory ball joints failed but the knuckle bores on my Turbo Diesel did not require an oversized part for a snug fit. Installing a ball joint with an oversized and/or knurled housing in this case just makes the next repair more difficult – if it occurs. Make your first ball joint replacement your last: Because the labor cost to replace ball joints is high, consider the purchase of a premium part with a lifetime guarantee, such as those from Carli Suspension. Suppliers mentioned in this article. Originally published in Turbo Diesel Register Issue 91.